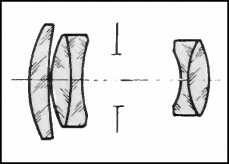 PT9005. 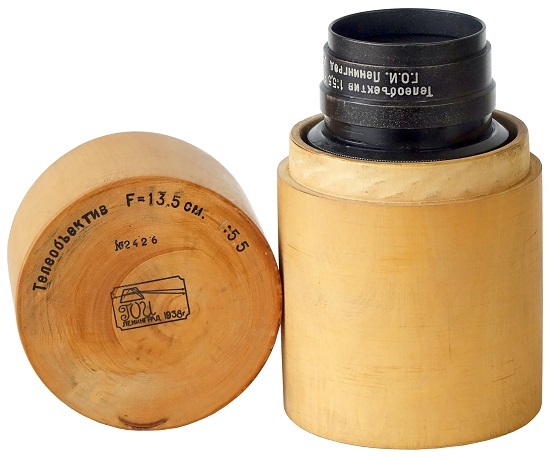 Prototype lens, calculated by GOI in 1938. Focal length - 13,5 cm, aperture range f5.5 - f32. Focusing range from 2 m to infinity. Number of elements/groups: 5/3. Angular field - 19º. 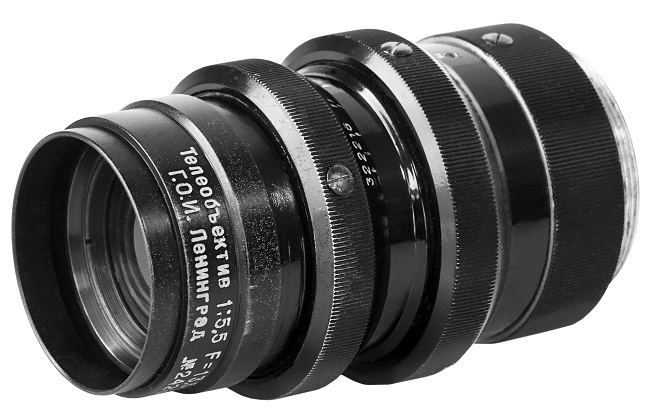 Seems to be calculated for Fed (Leica) mount. 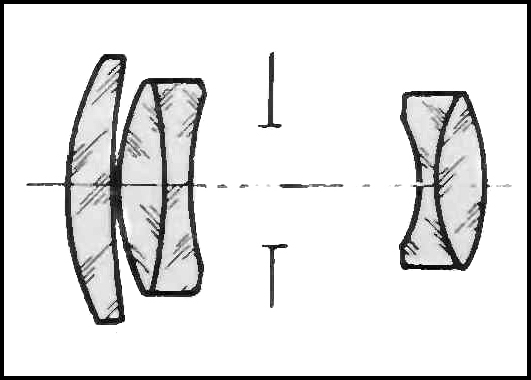 PT9005 - prototype Tele-lens #2426.